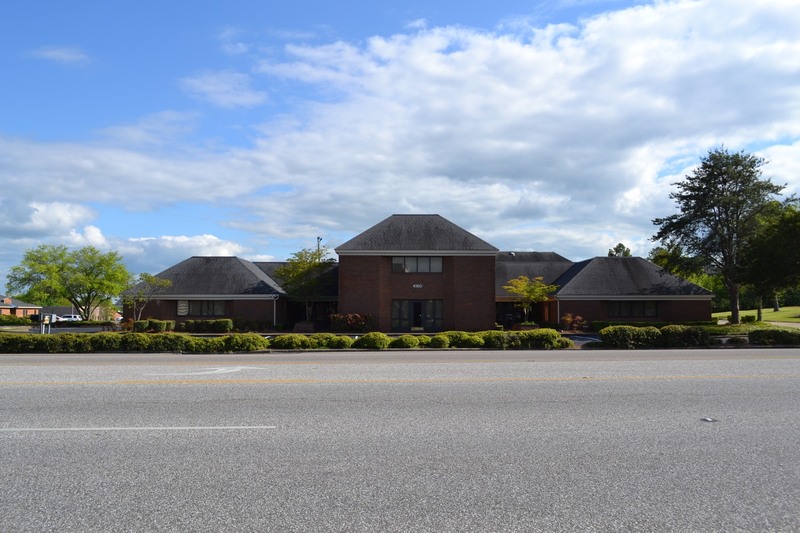 Montgomery County – LEASE -4160 Carmichael Road Office – NEW! CHARACTERISTICS: Constructed in 1987 this building is in excellent condition. The parking lot was recently resurfaced and restriped. There are 2 three fixture restrooms for the lower floor and 1 two fixture restroom for the upper floor. Many of the HVAC units have been replaced in the last 6 years. The roof and carpet are in very good condition. Adequate parking is available. There are a lot of private offices, however most walls are not “load bearing” walls and could be easily removed if the new tenant needs more open space. There is a kitchen/vending room on the lower floor. 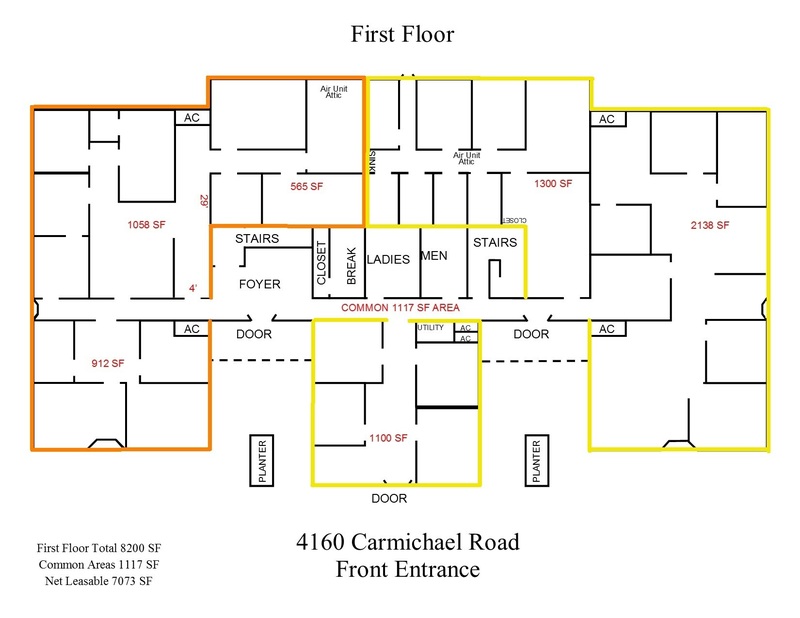 Owner will lease 4,538 net rentable area highlighted in yellow for $15 psf. Owner will lease 2,535 net rentable area highlighted in orange for $15 psf. Owner will lease 1,500 net rentable area on the second floor for $10 psf. Owner will pay utilities and tenant will pay for janitorial service. Owner will only lease to a credit worthy tenant with a 4 year minimum lease term. 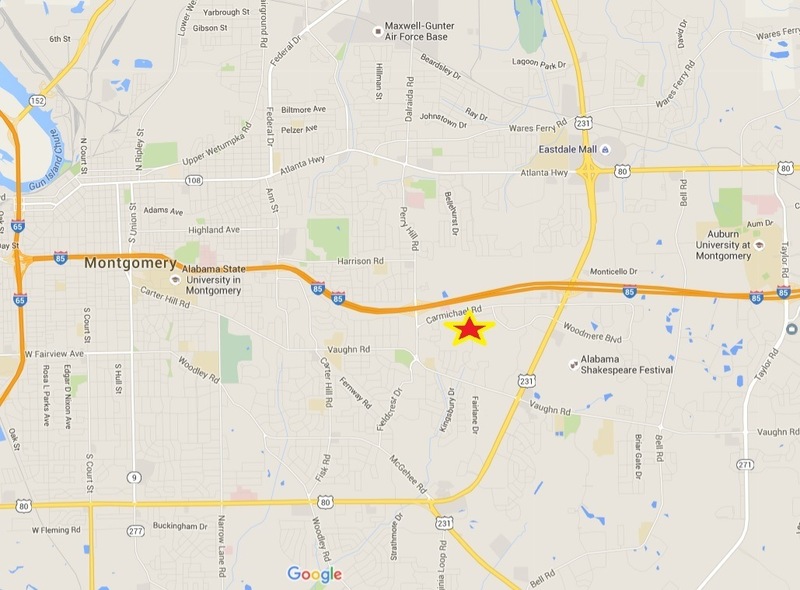 The location of this building affords easy access to I-85, Montgomery Academy School, Trinity Presbyterian School, hospitals, shopping and downtown.